Limos For Corporate Parties London Limo Hire Can Provide Limousines for Corporate Parties please feel free to contact us on 0207 3530000 and our helpful admin staff will be pleased to discuss your requirements and answer any queries you may have. We can provide a range of limousines for your corporate party, whether it’s end of year, Christmas or special bonus! Ford Stretched Navigator Below a Very Spacious 14 Seat Limousine very luxurious Inside with full leather interier DVD Player which is ipod compatible fibre optic lighting air conditioning with a Vip Area. Get There In Style With Limousine Hire Think back to your Office Party Xmas Do, remember how the cool Staff arrived in a limo, and everyone turned around to watch them arrive? Big occasions just like the Christmas Party have a habit of shaping people’s opinions of us, and with a little planning we can open doors of opportunity in our daily lives. Limousine hire for an evening doesn’t cost the earth, so how many people have felt like a celebrity arriving at their Cristmas Party as a result? There are many times in life where arriving in style really makes you stand out. It’s not just one off event like weddings, you can be the talk of the water cooler come Monday morning by turning up at the office party in a limo. It’s not just about other people’s perceptions either, it’s great fun to travel with a group of friends, and they’ll get a buzz from the experience too. 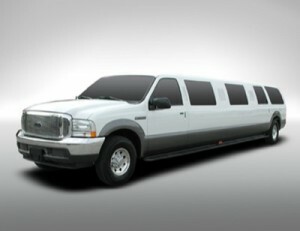 Limousine hire is really straight forward if you plan ahead. If you live in a big city there will be plenty of companies offering the service, however the services in smaller towns may need booking much further in advance to guarantee availability. Once you have a confirmed date for an event, that’s the time to get on the phone and book. You can often choose from all sorts of limo styles, from traditional styles to novelty bright pink variations, SUV’s and more. Ask the company you book with what is included in the price, some will provide champagne in the price, waiting for you in the vehicle ready chilled, whereas others will charge extra. The companies are also great for any special requests, most will do their best to accommodate any extras, so don’t be afraid to ask. By getting your booking out of the way early you can forget about limousine hire and focus on the more important things like your outfit, who will be there and of course how the eyes will be on your arrival!